Whether you are replacing your hot tub with a newer model or you have decided to do away with it altogether, something has to be done with that old tub. However, getting rid of an enormous, heavy piece of plastic or fiberglass is not the easiest thing. Over time the carpeting in home collects dust, dirt, pet hair, stains, odors, mold, mildew and cleaning that carpeting can longer restore it to an attractive and odor free condition. Removing that old carpeting can be back breaking and labor intensive work. To remove that carpeting you have to remove all your furniture in the area where the carpeting is, cut it into certain size strips, roll it into bundles, tie it and then haul it away. In addition, not all carpet fibers can be carted away with the regular trash making disposing of that carpeting even more difficult for the average person. Whether you have a small apartment, a condo, a house or are the owner or landlord of an apartment building and need to have carpeting removed in several rooms or apartments we can handle the job. 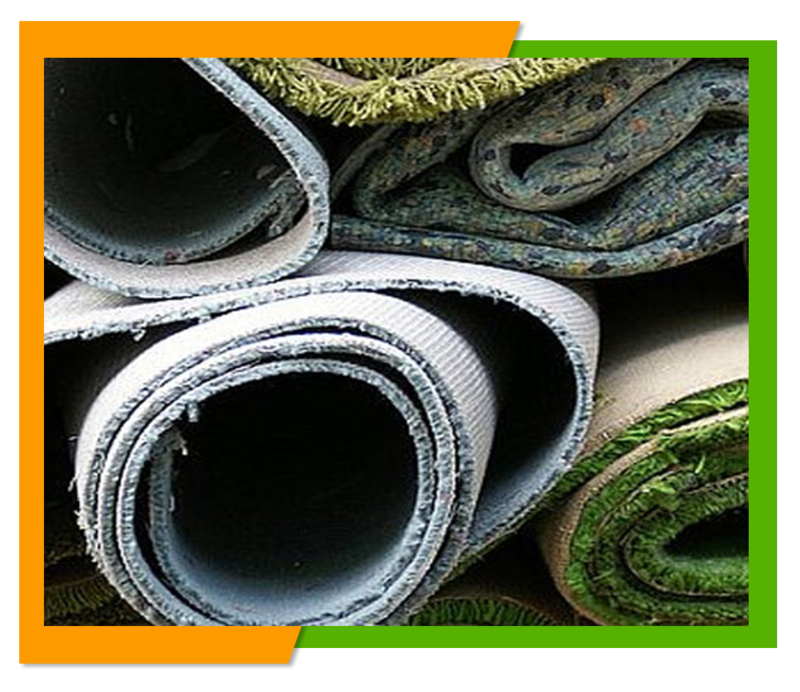 When removing your carpeting we take care to ensure that we don't harm your furniture and leave your flooring ready for the new type of flooring you are planning to have installed. 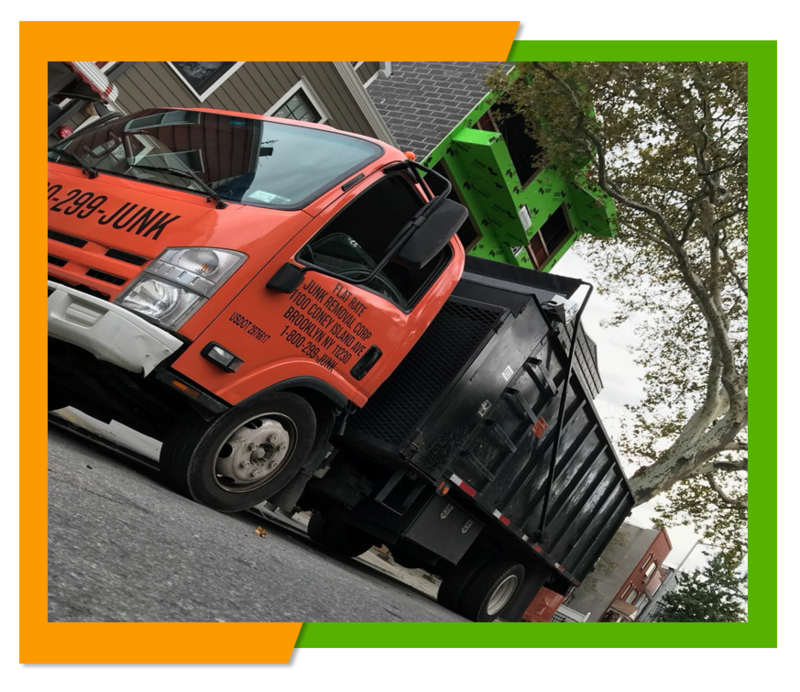 At Flat Rate Junk Removal we do everything we can to make having your junk removed as convenient for you as possible, which is why we will set up that appointment at a time that is convenient for you including offering you same day services. Our crews go out of their way to save you effort by doing all of the heavy lifting for you. Live in a walk-up? Not a problem we have the right equipment to remove that junk from any floor in your building safely and without you having to lift a finger. If you want to know how much it will cost to have that carpeting removed we do have a price list right here on our website at www.flatrate-junkremoval.com or you can call for an estimate based on your own individual needs for junk removal. To get a free estimate or to schedule a carpet removal or other junk removal appointment just give us a call at 1-800-299-5865 and we will be more than happy to answer any questions you may have or schedule an estimate or carpet removal appointment.